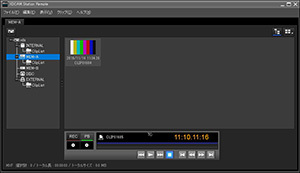 Only one XDCAM Station device can be displayed in XDCAM Station Remote. If you want to display multiple XDCAM Station devices, select [Create New] from the [File] menu tolaunch multiple instances of XDCAM Station Remote. 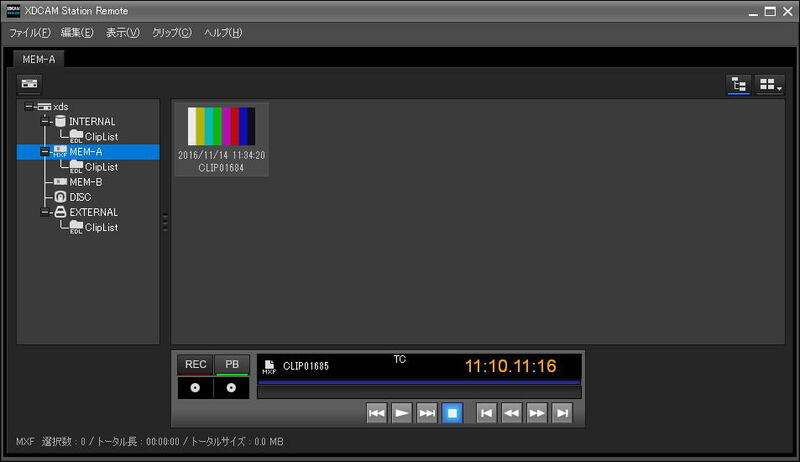 (On Mac OS) Displaying the same XDCAM Station device in multiple XDCAM Station Remoteinstances is not supported. Direct recording to SxS memory cards is not supported. Copying to FAT-format and exFAT-format SxS memory cards is not supported when copying between media.